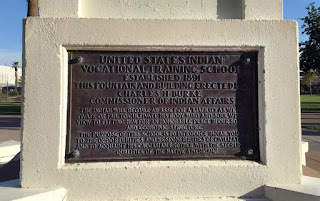 A plaque at the Steele Indian School Park in Phoenix, Arizona, where the former Phoenix Indian School for Native American Children used to sit. The plot of land was traded between the federal government and a private developer who was supposed to make yearslong payments to an education fund for native children. But the developer stopped making payments in 2012, and now the government has come to an agreement with the developer that allows it to skirt much of what it owes to the education fund. PHOENIX (AP, JULY 22, 2017) — New generations of children growing up in a tiny American Indian tribe in Arizona have lost a key way of learning to speak their native language, and it may not be coming back. A private land developer stopped making payments five years ago that funded language development in Hopi schools and helped 18 other tribes in Arizona build schools, youth camps and educational facilities. The payments were required under a massive land swap with the United States. The federal government reached a settlement this week with Barron Collier, a Florida-based company, that will allow the developer to pay just $29 million of the roughly $66.5 million it owed. The company also had to return a lot in Phoenix to the government. The Hopi tribe is the only one in Arizona without casinos that help fund schools, so it relies solely on federal money for education and has less of a cushion than other tribes affected by the settlement. The money from the land swap went into an education trust that helped the Hopi tribe pay for teacher training on the language program. It was put on hold when the developer's payments stopped in 2012. "I really think that this is a very important project for the Hopi tribe in terms of the revitalization of our language. Even though we are very strong culturally, we also know our children are no longer speaking the language fluently," said Noreen Sakiestewa, director of education and workforce development for the tribe. A spokeswoman for Barron Collier declined to comment. The company created an education trust following a 1988 land trade with the government, the country's largest at the time. 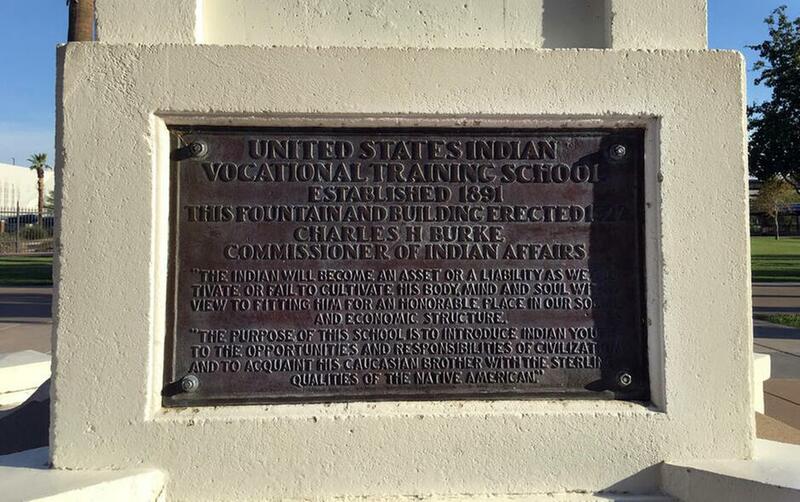 The U.S. swapped a plot of land that used to house the Phoenix Indian School for Native American Children for about 100,000 acres of Florida Everglades swampland that officials wanted to preserve. The Florida land was valued below the plot in Phoenix, so Barron Collier agreed to pay $34.9 million, plus interest, to two Native American education trusts that would be distributed among 19 of Arizona's tribes. The company started making payments in 1997, but it stopped in 2012, blaming a drop in the land's value, according to a letter the company sent in January 2013 to the U.S. Department of Interior, which owned the land. The agency referred questions to the Justice Department, which also said it was not commenting. Another victim of the settlement is a community garden in Phoenix that had to close this year when the Interior Department got back the land. Refugees and community members tended to the garden in the middle of concrete buildings and condo high-rises. Officials at the Inter Tribal Council of Arizona say they are relieved the trust will recover some of the money Barron Collier owes, although a significant shortfall remains. "The default did cause a burden for tribes in Arizona," said Maria Dadgar, executive director of the organization that has distributed funds from the trust. She said the money once paid for a new multipurpose educational facility, a tribal youth camp, a high school and a home for foster children for various tribes. The organization hopes the government will sell the land it got back near downtown Phoenix to help pay for tribal education. It's also now considering starting a new inter-tribal education fund. "That would be huge, and that would be something that we're looking at in the future to help ensure the legacy and the continuation of funds being available for Indian education in the state of Arizona," Dadgar said.